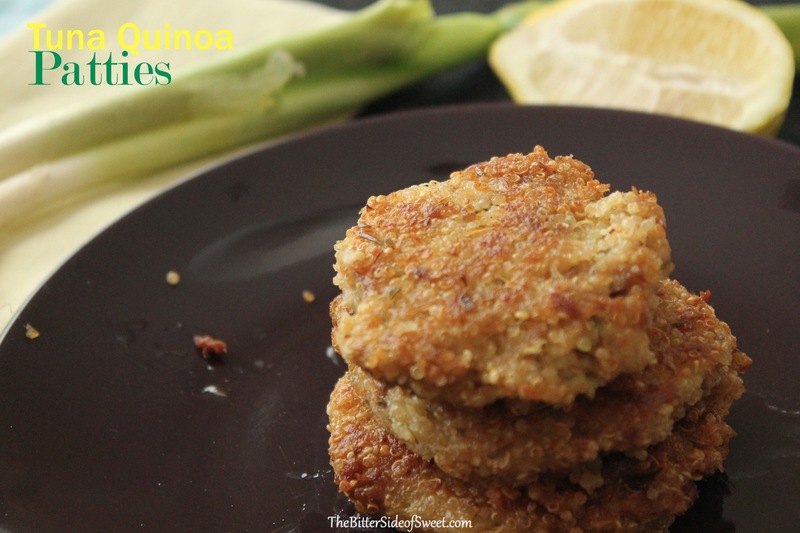 Tuna Quinoa Patties a dish your whole family would love! Since the end of February our family has been observing Lent and abstaining from meat on Fridays. I have been trying to think of recipes that include fish of some kind. 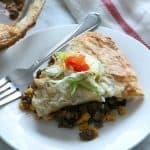 Well I have finally found my go to recipe. I have told you how obsessed I have been with quinoa. This recipe combines quinoa and canned fish to make the perfect dish. I have made a variation of this recipe twice so far. The kids actually really enjoy this as much as we do so it is a great family recipe as well. Because I have quinoa in my refrigerator often I was able to whip this up pretty quickly. Whenever I make quinoa I just follow the directions on the back of the package and add a vegetable bouillon cube to give it a little flavor. Then I just grab whatever ingredients i have that go well with the type of canned fish I am using and whalla you are almost finished! Using a large skillet add enough olive oil to cover the bottom of pan and heat on medium. In the meantime combine tuna, quinoa, egg, bread crumbs, lemon juice, onion, parsley, salt and pepper. Mix well. Roll and flatten into patties. Place patties in skillet and fry for 5 minutes on each side or until golden brown. (You may have to do this in two batches. Your welcome! They are really good! I was just in the store last night looking at two different kinds of quinoa! My brother was looking at recipes for stuffing bell peppers with quinoa and chicken, but I think I like yours better. What a coincidence that I happened to browse your blog today! Glad you did! Hope you like the recipe! Yes Ashley it is very easy!! These sound so great!! And so unique! I keep seeing quinoa recipes…I think that means I need to branch out and give it a try! The tuna patties look scrumptious!!! You definitely should! I am so glad I didn’t wait any longer to try them! I’ve been cooking with quinoa for a while now and this is my absolute favorite recipe! Yay! So glad you like them Amanda! It is one of my favorites too! Asiya, so glad to hear you made them! They are one of my all time favorite recipes!Thanks! 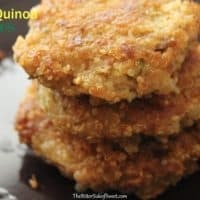 I found this recipe while browsing for something new to do with some of my favourite ingredients, quinoa and tuna! I Just made them today, they are absolutely delicious! I will have them this week with salad and in wraps for lunch at work. 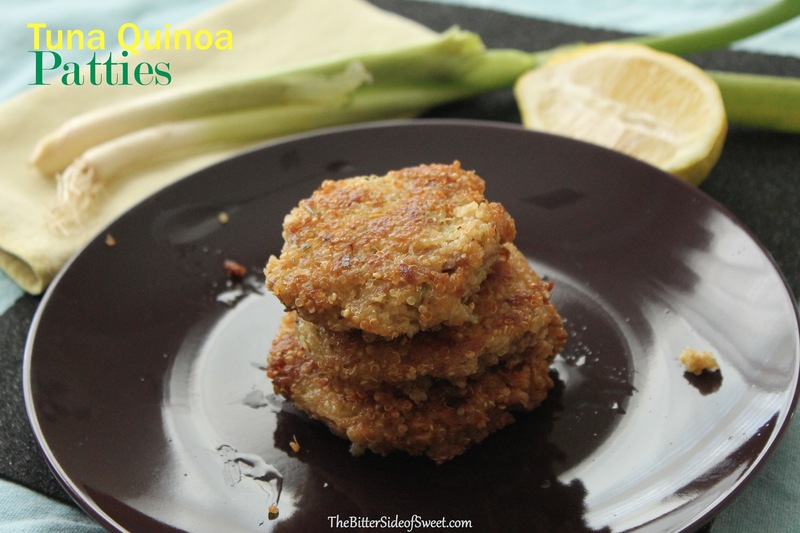 These little patties are so versatile and delicious! 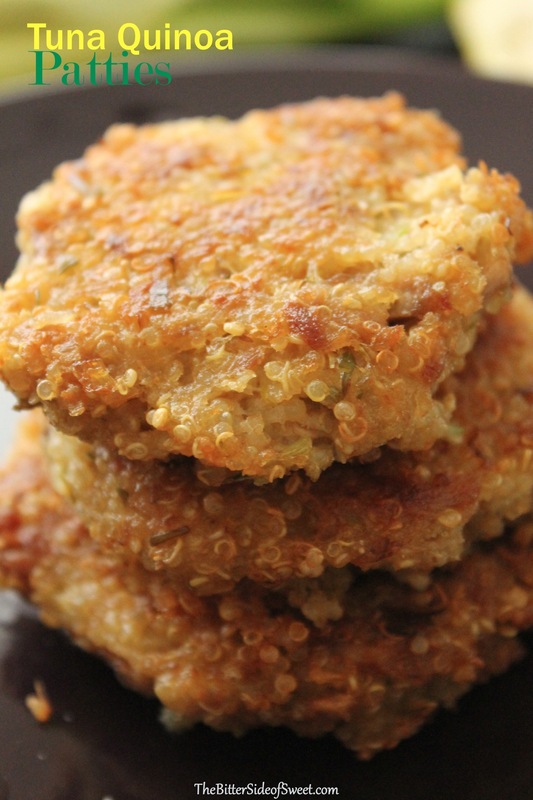 I used panko crumbs because it was all I had, they added to the crispy goodness of the fried patties. I’ll definitely make these again in a bigger batch. Thank you so much for posting!! I am SO glad you found them Dana! 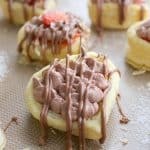 I am actually making them this week! The panko crumbs sound great! I am sure that is something you could try. 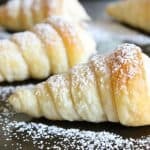 I have not experimented with them baked yet but I did make them last week fried them just a little and them finished them off by baking them and they tasted great! So glad you made them! Thanks so much for the feedback! I love this recipe but I do have a hard time making the ingredients stuck to form a patty. When cooking too they fall apart easily. What could I add to make them more sticky. I tried another egg but that didn’t seem to help at all. Also I liked adding dill, very yummy. Thanks for the recipe. Any tips for getting the patties to stay shaped while cooking? 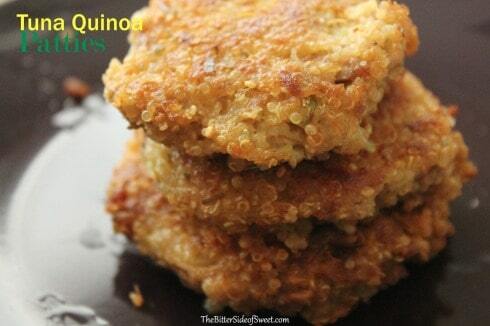 I made these and another quinoa patty recipe and both times the patties fell apart. I just kind of fried them up as is and they are still delicious! 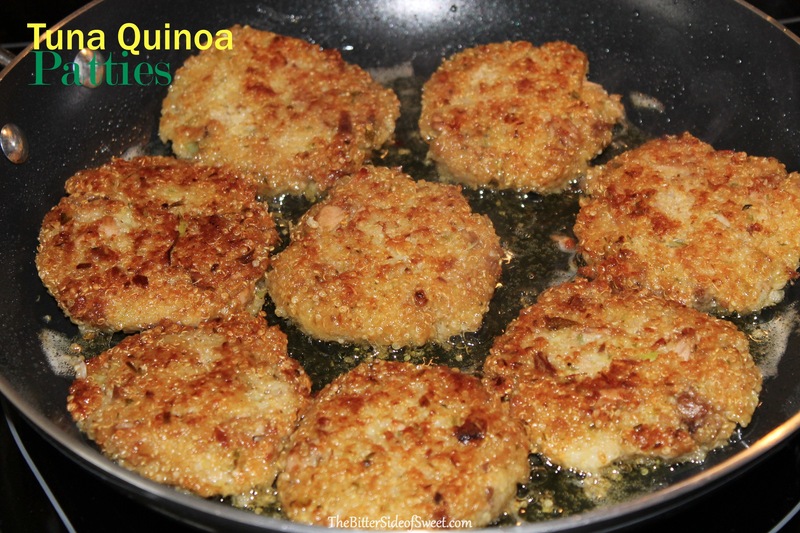 I seem to have a problem forming quinoa unto patties! Hey Jesalyn, if the patties seem too dry and crumbly add more moisture like another egg to your mixture. If they seem too wet add a little more bread crumbs. If you have ever made meatballs I would said it should have the same consistency as that. Let me know if you have anymore questions! Thanks! Spelled my own name wrong the 1st time *smh*. I ended up needing more egg, breadcrumbs and tuna. The patties didn’t stay together, regardless of what size I made them. Ended up coming out kinda like chicken fried rice. Still tasted good in the end. Can you make this with salmon?? You sure can! 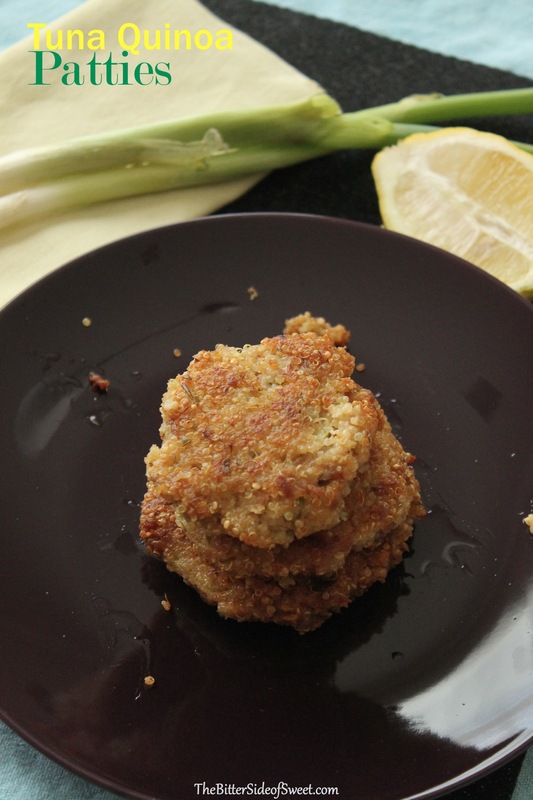 Search the blog for salmon patties and you will find that version as well! Thanks! Question: Is it 1 1/2 cups COOKED quinoa to one can of tuna? Or is it 1 1/2 cups UNCOOKED, which will make lots of quinoa?